I was so thrilled that there were more adventures that Becky had yet to go on, I knew that each would be unique and very funny. Though Shopaholic & Sister shows another side to Becky and her family when she finds out she has a sister and everything in-between. Having gotten married in the last book, Becky and Luke are getting settled into married life. Having spent the last 10 months on a extended honeymoon, Becky and Luke have seen a lot of places and Becky has purchased a lot of great items, she doesn't know where she will store it but she couldn't help herself. Though being gone for so long, things have changed back home. Her family seems to have added a new member, her best friend Suze has had two twin babies and they are all not very happy about them being back. With her new sister, Jessica in the picture, one from a previous relationship of her father's, things are changing and there is the small problem with Jessica not liking Becky one bit as well to complicated matters. Her best friend, Suze isn't much of a help either, with her two new babies she has gained a new best friend to takes a quick disliking to Becky as soon as she arrives back. Though Becky is determined to push everything aside and try to build a relationship with her new found sister, even if it means travelling to where Jessica lives to help form a bond as sisters. Things quickly take a turn for the worse when Becky overhears something Luke has said, so she decides to become a better and more thrifty person like Jessica. Though after finding out that Jessica has gone on a climb up a mountain, Becky decides to go and find her, only injuring herself in the process. Then again, injuring herself wasn't so bad, she got to spent time with her new sister and deal with some issues at the same time. Things seem to be going well, her and Jessica are finally on their way to becoming the best sisters they can be, Suze is starting to act more like Becky's best friend again and Luke explains what he really meant when Becky overheard him talking. 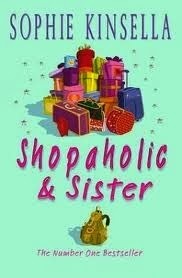 Shopaholic & Sister is another great instalment in the Shopaholic Series, that adds laughter and happiness into some really normal situations. With it's characters both old and new it makes it a great book, about family, friends, sisters and how to not overreact at small things. 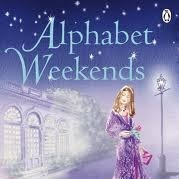 If I had to sum this book up in three words, they would be Charming, Amusing and Joyful. I would recommend this book to anyone who loves shopping, hilarious moments or the bond that sisters share even if you have two different personalities. Or any siblings for that matter. “Me too." I agree fervently. "Every film should definitely have a message."